Review: Edinburgh is perhaps not the place you'd look for authentic 1950s and '60s style New York salsa, but that's exactly where Grupo Magnetico earned their stripes. The collective regularly performed in a small cellar bar before cutting their first record, which was released last year by Athens of the North. This debut album, which boasts contributions from singers and musicians from across South and North America and was mixed in New York by legendary Latin producer Aaron Levinson, expands on that single, offering a wonderfully authentic tribute to the glory days of Eddie Pamieri, Tito Puente, Ray Barretto, classic NYC salsa and the infamous Fania label. 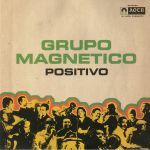 Review: Here's something of a surprise from the normally funk and soul-centric Athens of the North label: a "heavy salsa" 7" featuring two killer cuts from contemporary outfit Grupo Magnetico. It's a taster for their forthcoming debut album; if these two straight-to-tape cuts are anything to go by, that set will be well worth picking up. 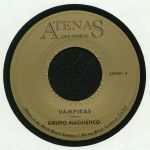 Both tracks sound like they could have been recorded by Colombian musicians in New York during the heyday of Boogaloo, with A-side "Vampiras" - a typically undulating salsa groove which is enlivened by group male vocals and heavy horns - just edging out the gentler but punchier "Hermanos Latinos" in the "standout" stakes.